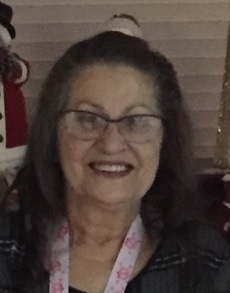 It is with profound sadness the family of Vikki Wardlow announce her sudden passing on Thursday, January 17, 2019 at the age of 65 years. Vikki leaves to cherish her memory her son, Troy (Jill) Oscar, daughter, Jen (Kent) Bills, daughter in law, Lindsay Oscar, father, Ken Wardlow, grandchildren, Abigail, Nathan, Tyler, Sophia and Everly, step grandchildren, Skylar (Alley), Tahnee (Chris), step great granddaughter, Haizyln, sister, Ginger (Gord) Hallgren, one brother, as well as numerous relatives and friends. Vikki was predeceased by her son David Oscar and her mother Helen Wardlow. In honor of Vikki’s wishes no formal services will be held.